The keyboard of the iconic Commodore 64. With its low price and considerable graphical prowess, the Commodore 64 served primarily as a game console for millions of users, although many also took advantage of its full potential as a programmable general-purpose computer. To celebrate the 30th anniversary of this legendary PC (it started selling in the first week of 1982), I sequestered myself in a quiet room with an authentic 1982 Commodore 64 for one week. The goal: to see if I could get any work done with a machine that possesses a miniscule fraction of the RAM and CPU power of computers commonly in use today. A year ago, I spent a week with the IBM PC 5150, putting it through a similar challenge. Unlike the IBM PC, however, the Commodore 64 (or C64) was not designed as a high-end business machine, making productivity tasks a little harder to pull off. A Commodore 64 in 2012. Despite the odds weighing against me, I was determined to put the C64 through its paces as a writing, gaming, and yes, Internet machine. By the end of the week, I would judge my success rate by the number of hairs left on my head. As it turned out, I didn't end up nearly as bald as I thought I would. 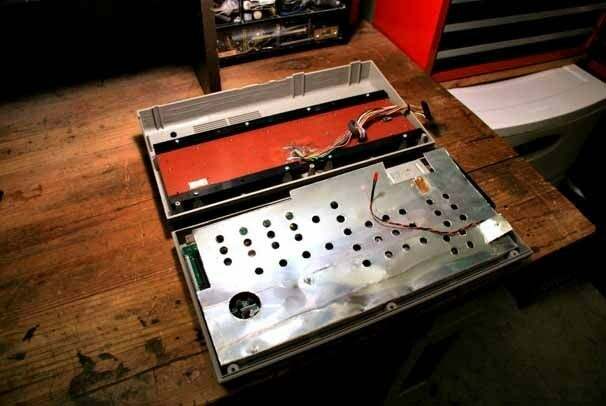 Inside the Commodore 64's case. Yes, I said that right: cardboard. To reduce costs in manufacturing, Commodore opted to forgo the common sheet-metal RF shield (which prevents the C64's circuitry from TV reception interference) in favor of one composed of compressed paper coated with a thin metallic foil. Apparently, it worked, but cardboard isn't known for its heat conductive qualities. On top of all that, the C64's circuit design isn't quite as robust as it should be, making it very easy to fry things if you short the wrong pins together on its various connectors. And Commodore's power transformers (think "brick on a leash") get extremely hot and tend to melt their plastic cases and then fail over time. Basically, if you wink at the C64, it might crap out on you. And sure enough, a few minutes after plugging in my pride and joy—my last working C64 breadbox model—it failed. Luckily, I had a spare working C64 motherboard, and after troubleshooting that ate up a large portion of the day, I simply swapped the boards and was back up and running. No Commodore 64 is an island; it needs a nebula of supporting peripherals to be a truly useful system. For a monitor, I chose my trusty Commodore 1702, which not only supports composite video input but also a special S-Video-like chroma/luma input in the back that guarantees a very high quality video display. I own a single cable made for this connection between a C64 and a 1702, and I almost couldn't find it. But I did. For storage, I chose the standard Commodore 1541 floppy disk drive. It can use single- or double-sided 5.25-inch floppies that hold 170 kilobytes per side. It hooks to the C64 via a serial interface that can be quite slow, but at least it was user friendly. Commodore 1541 floppy disk drive. Disk drives could be very expensive in the 1980s, so many C64 users opted for a lower-cost cassette tape drive. Such a drive stored and read computer data from standard audio cassette tapes. I hooked up one of the more popular models, the Commodore 1530 C2N Datasette drive (shown sitting on top of the stack above), but alas, I had trouble finding meaningful programs on tape to use with it (most of my tapes are for the earlier VIC-20). Close-up of the Commodore 1530 C2N Datasette drive. For game controllers, I rummaged through my collection and found two Commodore VIC-1311 joysticks. More on that later. 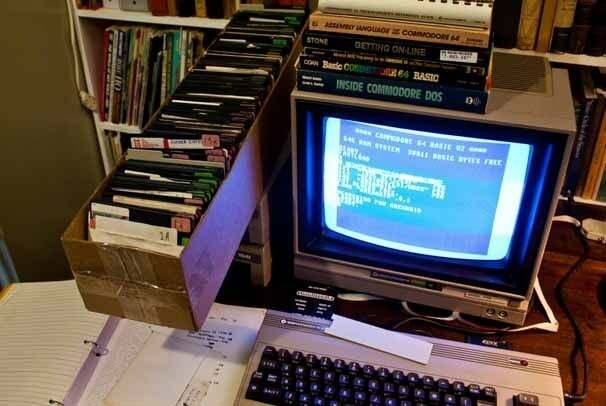 A computer is only as good as its software, and the Commodore 64 platform suffered no want in that department. Over 10,000 programs were created and sold for the C64 during its lifetime, and sometimes it feels like I have all of them sitting in a gigantic box as shown below. This is part of my Commodore 64 software collection. One problem is using this software. These disks are old, and, as many folks have realized in recent years, floppy disks don't last forever. (I wrote a piece about the ramifications of that fact earlier this year.) The magnetic data fades over time, making them unreadable. 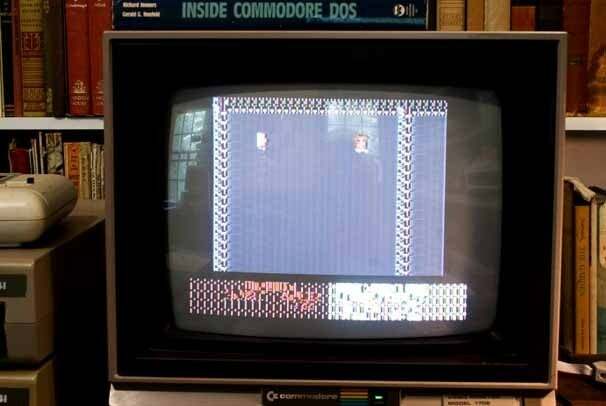 A scrambled image of the game Gauntlet on a Commodore 64. 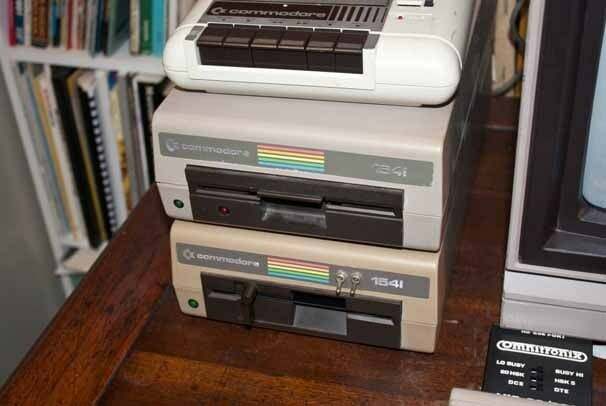 Over the past decade, C64 fans have created a number of adapters that utilize modern secure digital flash media for data storage. But I wanted to make this experience as authentic as possible by using only vintage equipment. So by the end of day one, I was faced with the prospect of spending my week with an unreliable discount computer, reading ancient floppies that rarely work. But hey—nobody said this was going to be easy.